Say it ain’t so, Manu! 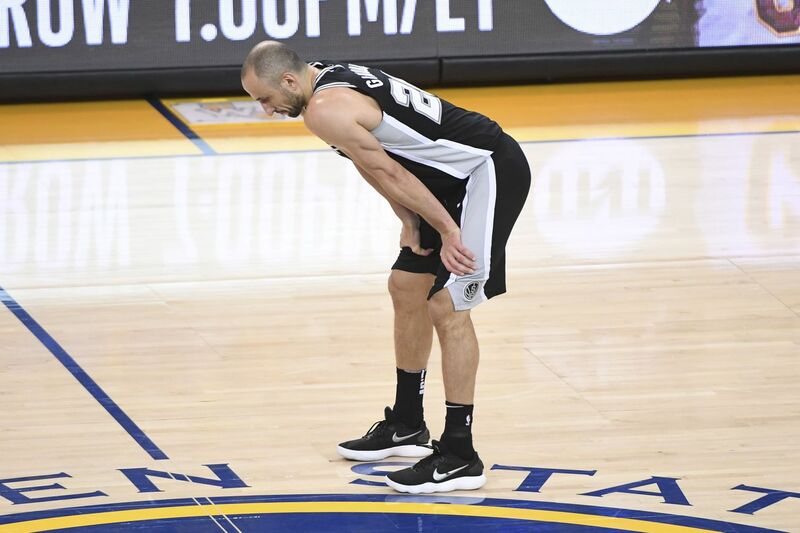 There’s barely a month left before training camp begins, and the only question left for Spurs fans to ponder (in a summer that his been full of them) is if Manu Ginobili will return for another season or retire. The longer he has taken to decide, the more it has felt like he will return, but if ESPN’s Adrian Wojnarowksi is to be believed (he was right about Kawhi Leonard), Ginobili is strongly leaning towards retirement. San Antonio Spurs guard Manu Ginobili, a future Naismith Basketball Hall of Famer, is seriously considering retirement and plans to meet with coach Gregg Popovich in the coming days to discuss his future, league sources told ESPN. Ginobili, 41, has been working out regularly at the Spurs practice facility and hasn’t made a final decision on the coming season, but sources say that he’s strongly confronting the possible end to an historic 16-season run with the Spurs that includes four NBA championships. Pop is on his way back to San Antonio after participating in the NBA’s Basketball Without Borders in Serbia. He will surely remind Ginobili how much the Spurs still need him, but he also must do what is best for him. At 41-years-old, Ginobili has spent 23 years playing professional basketball, including the last 16 in the NBA, as well as many summers playing for the Argentinean National Team. Last season, Ginobili averaged 8.9 points, 2.5 assists, and 2.2 rebounds in 20 minutes while providng countless huge shots and clutch moments for a Spurs team that struggled without its best player but still managed to make the playoffs. He has one year, $2.5 million remaining on his contract. The Spurs have already lost Leonard, Tony Parker and Danny Green this offseason. As a result, if Ginobili retires, that will make Patty Mills the longest-tenured player on the Spurs roster and, along with Marco Belinelli, the only holdover from the 2014 championship team.